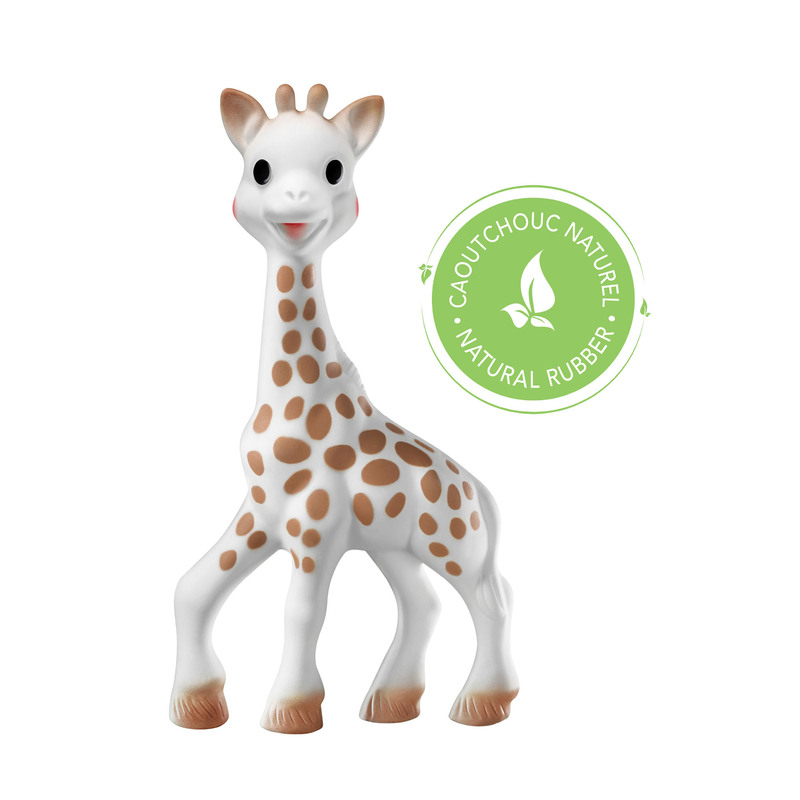 This super cute giraffe toy is made from 100% organic rubber and non-toxic food paints, making it safe for babies and toddlers to chew on so they can soothe sore gums. This lightweight teething toy makes a soft squeak when squeezed and her long neck and legs make it easier for your little one to grip and chew. 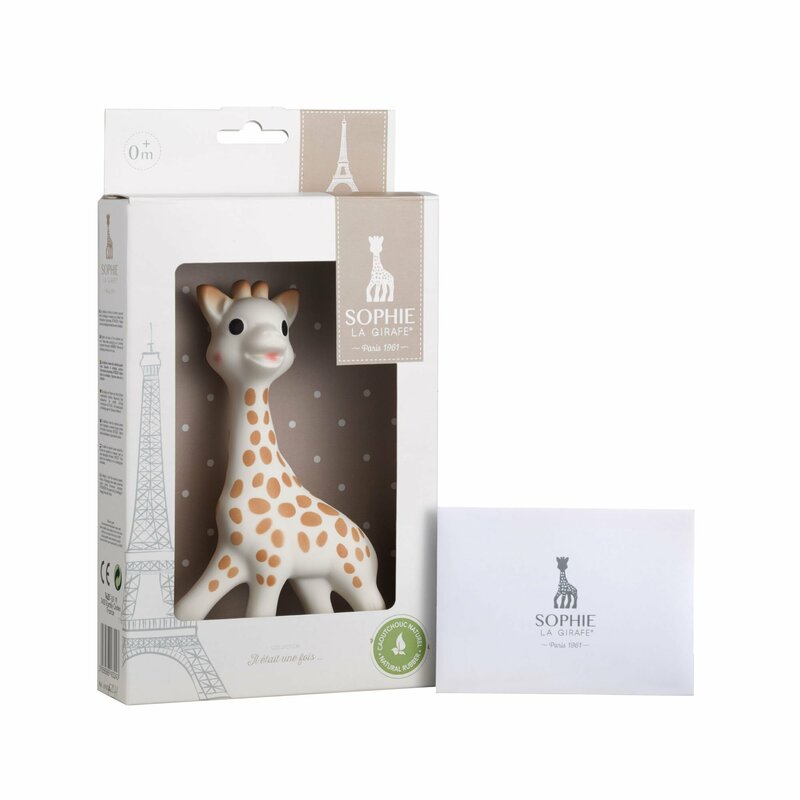 Sophie La Girafe would make a great first toy to help stimulate your baby’s senses. Suitable from the age of 3 months. Presented in a gift box, makes a perfect gift for a newborn or christening. Your purchase will help support ZSL’s conservation projects in over 50 countries, which means you’re helping to protect wildlife!